The year is 1993 – Kenner releases the Jurassic Park toy line which shaped many of our childhoods. From there on, Kenner (and eventually Hasbro when they entirely overtook Kenner and their products) made Jurassic Park toy lines. Whether it was a spin-off like ‘Chaos Effect’, ‘Jurassic Park: Dinosaurs’ or ‘Camo-X-Treme’ or a film line, the franchise was handled by the same company. Most recently, Hasbro released the ‘Jurassic World’ toy line in 2015 – and to be blunt, the toys were not good. Velociraptors were missing their sickle claws, toys were poorly sculpted, poorly and cheaply painted, prone to breaking, and riddled with gaping screw holes. Not to mention, there was no sense of size consistency in the line, and it did not feature traditional human action figures. Fans were bummed. Apparently, so was Universal Pictures – while Hasbro began to improve the quality with much better paint application on 2016’s ‘Dino Hybrid’ line, they lost the license that summer to Mattel. This is now uncharted territory – and truth be told, when I first heard the news I wasn’t excited. Mattel has no current lineups that prove they could do the classic Jurassic style of lineup (which is quite similar to current Star Wars offerings from Hasbro), and Hasbro had just put out some of the best Jurassic Park toys ever a few years back (see: Jurassic Park 2009/2011). Let me just jump to the point: I was wrong to doubt Mattel. While the final quality of the toys remains to be seen, the lineup style is what fans have wanted and true to the legacy of Jurassic Park. As always, sound off in the comments and let us know what dinosaurs, characters, and vehicles you want toys for. Happy #JurassicJune, everyone! When dinosaurs ruled your room. I could not be more excited! I was hoping for a 1/18 scale toy line. I just hope that the dinosaur figures are well articulated similar to the 2013 hasbro line and not stuck in a silly looking pose. Please Mattel no half assed paint jobs on the dinosaurs. I don’t understand why older sculpts weren’t just re-used. Bring back the original red rex with a film accurate paint job and roar and it would sell like hotcakes I’m sure. So, the games. Are we talking video games? I am really hoping for an awesome mature non-Lego video game offering. Here’s hoping for Jurassic World Survivor news soon. Will the Dinosaurs be including all that show in the movie, or show all the dinos that were going to be in the stores? No plastic cheap toys. I was really dissapointed in the 2015 toy line. I was going to start collecting again, I decided I wasn’t going to waste my money. Follow the 1993 toy line as framework. You won’t fail. they wont fail im glad Mattel is giving us what we want the list up there is exactly what jp fans really want they wont fail us. There will be mainly plastic dinos, but there is a rubber mosasaur. Seriously it’s 2017, we should get realistic collector level sculpts with good articulation! If not, it’s hasbro all over again and I’ll pass! I’ve collected since the first line in 1993. I bought every JW offering. I’ll be buying these based on this info alone. Thankful that Universal appears to have listened to the fans. Ingen helicopter, Visitor center with skeletons alamosaur vs. t-rex, Herrerasaurus, Baryonix, Metriacrocantosaurus, etc. Pachycephalosaurus, Pteranodon Steinberg, Gallimimus, Parasaurolophus, Etc. Rol Game Funcional Toys Binoculars, Walkie talkies, Roland Tembo Tranq Rifle, Nick Van Owen Nikon Camera, Sara Harding Lucky Pack, Ian Malcom 3D Black Glasses, Roland Tembo Hat. 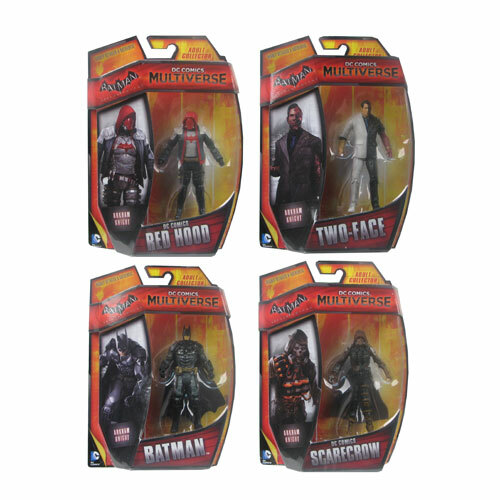 Are these the expected toy lines from Mattel? No Miniature Adult Rex? Aw, well, I was hoping for a 9 inch long and 4 inch tall Indominus Rex and Spinosaurus, but yet again, I would prefer to have a 6″ long Raptor Squad with Blue, Delta, Echo and Charlie(with Sickle Claws and accurate color schemes), along with a 3 3/4 Owen with a Motorcycle…. Because for the Large Dinosaurs like T-Rex, Spinosaurus and Indominus Rex ,I probably will not purchas due to their size for the fact that I have very limited shelf space and also because I have a Budget, but Hey, let us see what happens… And I Hope that all of these toys will be amazing and I can Buy some, stuff before and after I watch Jurassic World 2. Where did they get this information?cuz I wanna know more about the T. rex and others. I am so pumped for a bunch of new Jurassic World Toys from Mattel. Absolutely stoked about this, my only complaint would have to be that they are scaled to the hasbro toys and not the kenner toys (I think their action figures were 4 1/2 inches tall). Other than that it seems pretty good. These, as far as I know, are 6 inch figures – the Jurassic World Mattel humans will be smaller, at 3.75 inches. 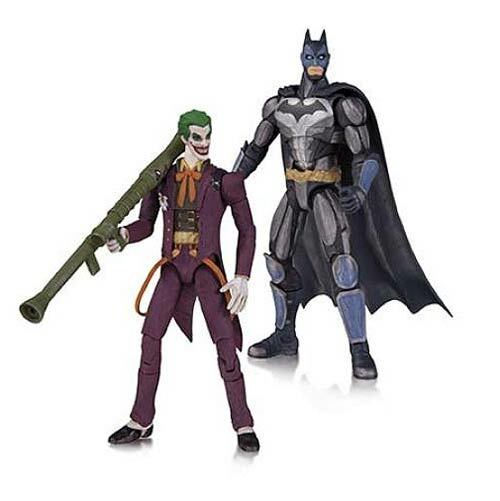 Damn, I was hoping for the 4.5″ figures, back to the original size and style! though glad to hear the dinos seem to be back to the original look and feel. Hopefully no visible screw holes or hinges! Movie accurate likenesses and clothing would be subliminal! (Paul kirby with a moustache , eddie carr without his hat as he has a bald head , carter NOT dressed as a motor cyclist but like a mexican dino hunter , robert muldoon WITH a hat , dennis nedry (with glasses and not shades) and removable raincoat , oh , and obese instead of podgy lol , new figures…….robert burke (with hat and snake) udesky with radio , jophery brown (the guy that dies when muldoon shouts “shooooot her!”) , BD wong’s character (with half hatched raptor and note pad ) , ray arnold (with chair , desk and JP computer console) , owen (with piece of meat and whip) , gray and his brother (2-pack) , lex murphy , these are just a few ideas , mattel can do this am sure , if kenner managed it and if hasbro survived this long , then mattel can succeed like with their TMNT line!!! I hope the humans sell well then it opens the door to more characters (and dino chow lol) , my idea for a deluxe range (we can dream) would be…..dilophasaurus vs dennis nedry , raptor vs udesky , compy swarm vs dieter stark , dimorphodon vs zara , billy brennan vs pteranodon , eric kirby vs pteranodon hatchlings and tim murphy vs gallimimus , rrp around 20 pounds (20-25$) , and as for a playset , how about the T-rex escape from JP1, with collapsing toilet block , dino damage fences , tethered goat and exclusive donald gennero figure (dinosaurs sold separately) , now don’t get me started on vehicles…..malcolms car box set with ian , sarah and baby rex! I’m very pleased to hear that Mattel will take over the official Jurassic Park and Jurassic World franchise. I’ve only had several dinosaurs from the Kenner line, but now I want to get more JP Dino’s, human figures and maybe the vehicles. Perhaps design some diorama decals like a visistor center from Adobe Photoshop. I can’t believe that they are already here!! I’m not disappointed in the new dinosaurs coming out in 2018, but I AM VERY disappointed that NO ONE is making a NEW Command Control Center such as the one Kenner first put out. I still have mine and have it set up as a diorama, but I could sure use more fencing!! I personally think the Kenner set was the BEST ever and also have many of the Kenner people and dinosaurs from 1993. I wish SOME toy company would take over the Kenner line and re-produce the center as well as NEW and perhaps better fencing. I cannot BELIEVE the prices I see on eBay for old Kenner sets….most without any box and incomplete. There is ONE unopened box right now on eBay that costs a small fortune. My “computer” still works because I regularly checked and changed batteries. But the design is adult-oriented as most children cannot get out the battery compartment without wrecking it. If Mattel is taking over, the FIRST thing they should do is create a COMMAND COMPOUND SET and fencing!! I prefer my original Kenner dinosaurs, but have bought several of the new ones. I think the eyes on the newer dinos are much more realistic, and I DO look at detail. Why no deceast size 1:40th Brontosaurus figure? Had some nice looking ones in last movies and nothings been done.That is really sad. Only CollectA did a new up to date style great looking but to small so was Papo’s. Nothing has been done in a good size to off set the 1:40th or lagrer T-rex figures.In short what the heck. To be nice lol.